Retsuko is deep in her relationship and she’s pretending to be happy. Washimi, Gori, and even Director Ton give her advice about it. That she shouldn’t be giving more to a relationship and that she shouldn’t have to pretend to be happy. Also she doesn’t get to be herself. She’s not singing. And Haida ends up in the hospital with pneumonia. 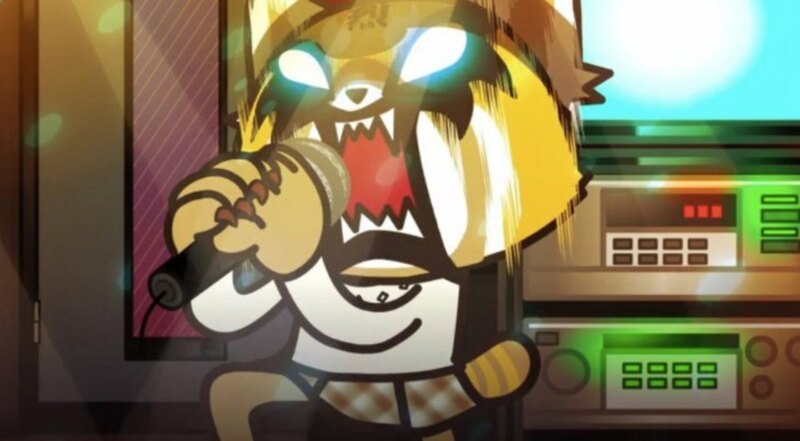 When Retsuko visits him, he confesses his feelings.